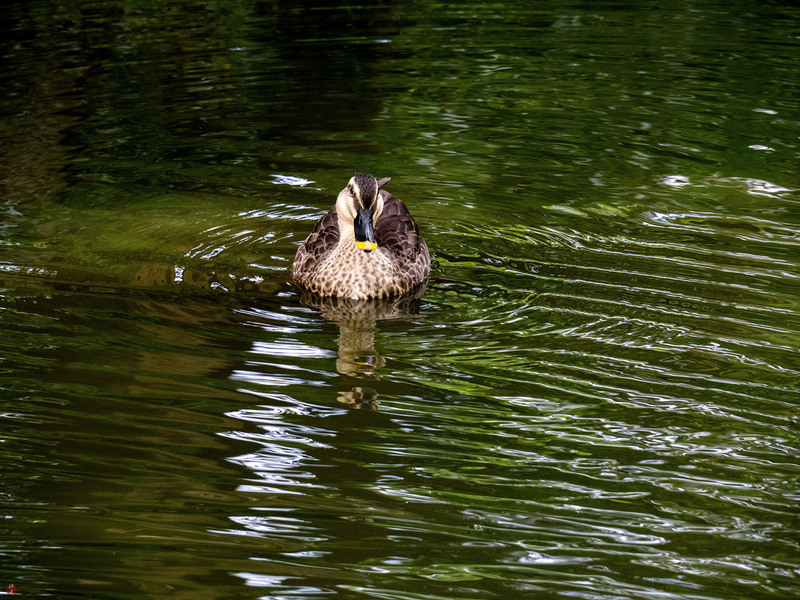 As the harbinger of autumn, a pair of Karugamo ducks have returned to this small pond as in other years. 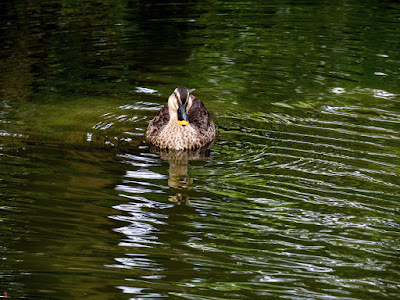 The female duck is dancingly gliding around on the calm surface of the pond, leaving countless sparkling ripples on the water. The transparent sunlight from the crystal autumn sky will soon bring the most gorgeous colors to this quiet garden, where the trees have hurriedly begun to take on the splendid tints of this transient and beautiful season.